In this release from the Short Trips range, Polly - years after giving up her travels with the Doctor is preparing to move with her now husband, Ben. As she is starting to get ready she feels more apprehension about moving from the place where they have so many fond and precious memories. Going through one of the boxes full of things they are taking with them, she comes across something from their travelling days. A strange feather. It serves as a reminder to her that change is not something to fear and that it can be for the best. What this story enjoys the most is what the early adventures enjoyed, taking its time to set the scene. The descriptive language used is very rich and really helps to give you a nice picture of the events. The only problem is that they have thirty-seven minutes to tell this story in and I spent most of my time wondering if we were going to have to gallop at the end. 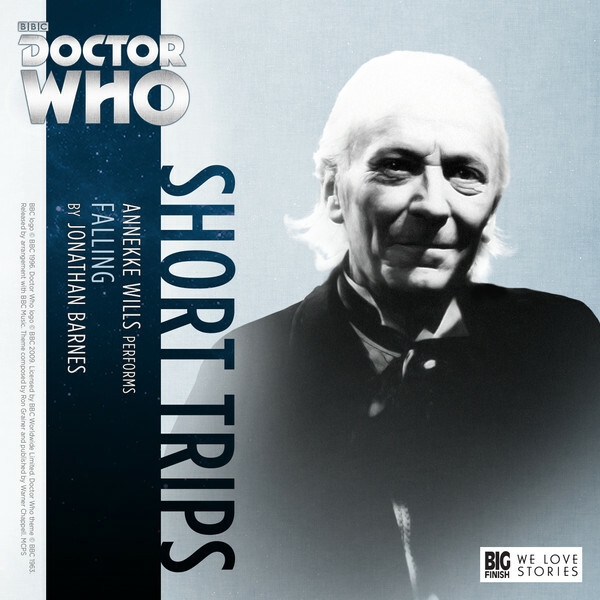 Luckily they don't and this story comes across as something of a prequel to something that was going to happen to the First Doctor very soon. This story is a nice little look at where Polly's head was at during her travels with the Doctor, something that wasn't explored much on television. Also developed is the underlying romantic relationship between Polly and Ben, with Polly reaching out for him at certain moments. Equally as interesting is the idea that this is a Doctor - who knows that he is nearing his regeneration, remember at this time, he had never changed before. And this story kind of gives us a reason as to why his Doctor looked so old before he changed, he was scared of what that change could mean.